Tween Tuesday is a weekly meme that features great reads for Tweens! 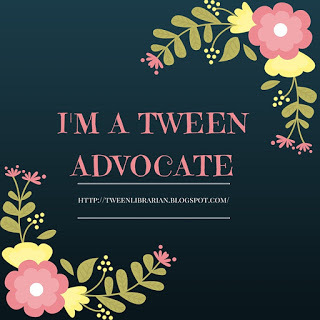 Add your own Tween Tuesday links in the comments below and join the fun! About the Book: Marina is mean, Sachi is nice. So when the two girls get paired up as partners in video class, working together is not going to be easy. Marina wants to do a video on fashion-and use it to show everyone how awful her friend turned frenemy Rachel really is. Sachi wants to do a video that people will remember and find important-not spoof a fashion show. She really needs her video to be something great because she lied to her parents about taking video and she needs to have something her parents will like. But middle school is never fair and Marina and Sachi are going to learn all about being nice and mean. GreenBeanTeenQueen Says: Nice and Mean is a cute and fun read-and tween girls will love it! Marina reminded me of someone who could be in The Clique series, so tweens who are looking for similar reads will enjoy Marina. Sachi is shyer and has strict parents and I think tweens who feel like their parents are being unfair and the struggles of being a tween will relate to Sachi. Ms. Leader used to be a middle school teacher and that shows in her writing-she has the tween voice down. You can tell she’s spent time with this age group! I did find the alternating chapters somewhat confusing at first and there were a few times I forgot who was talking. Even though the stories come together, I wish we could have seen more from Sachi-I felt Marina’s plot was more fleshed out and developed. I also really disliked Rachel and didn’t like that she was never really seen for the mean girl she was. I would have liked for someone to tell Marina’s friends that Rachel wasn’t that great of a friend either! I think tween girls will love this one-especially girls who are into fashion. If you have tweens looking for a “mean girl” read, give them Nice and Mean. This looks like a cute read! That looks so cute. Great review. That does sound fun! I've got my Tween Tuesday post here. I got my copy today, and I loved it! It was funny and sweet and I thought the two voices were really distinct. I especially liked how we saw how vulnerable Marina could be, and had some insight into why she behaved the way she did (and why she was friends with the awful Rachel). Thanks for the review, and the interview! That does look interesting. I like the contrast in the cover.